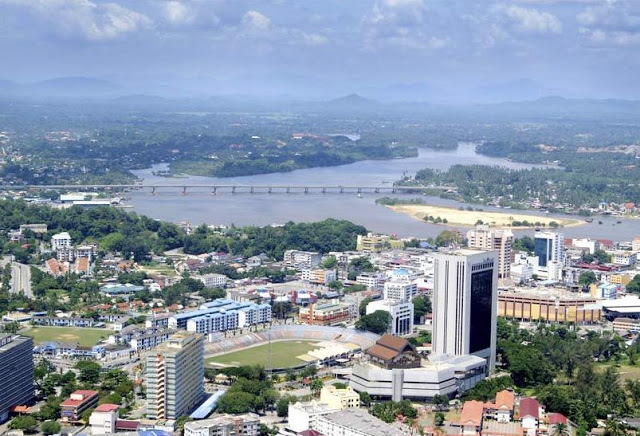 Kuala Terengganu, the capital city of Terengganu, is situated on the East coast of Peninsular Malaysia. It is known to be rich in petroleum and other natural resources, often making it a popular extraction site for petroleum in Malaysia. Aside from that, Kuala Terengganu is also home to many beaches suitable for a family getaway. 20 minutes drive away from Sultan Mahmud Airport. Weather is subject to monsoon seasons. The Warisan Bazaar is a great place to shop for souvenirs aside from Pasar Payung. Most of the goods sold here are traditional, such as songket, batik and more. There are even performances and kite flying in the bazaar every weekend. The Crystal Mosque is amongst the most unique structure in the land. As the name says, this place of worship is made out of crystals as well as steel and glass. For fellow photographers, this mosque makes a juicy selection to capture pictures, both from the interior and exterior of the mosque. Bus travels to and from Kuala Terengganu to many other cities has never been easier. There are several bus services at convenient timings from Kuala Terengganu that are available for booking online on CatchThatBus or via mobile app which can be downloaded for free on Google Play or App Store.